Learn pet heat stroke symptoms and have great time with your pet at the beach. Spend an unforgettable summer together, exploring the beaches without any worries. If you are a summer person that loves spending time on the beach with your dog or other pet you should know basic pet heat stroke symptoms. It can save your pets life. Usually, when your pet is out in the sun and being active. But it can also happen in closed room when it is hot outside and the room has no air circulation. If you take your pet to the beach and you are playing and sunbathing make sure you prevent heat stroke. Because spending an active day outdoors in hot weather is a perfect precondition that leads to heat stroke. What are the symptoms and how can you recognize them? The symptoms are listed from light to heavy ones. With some heat stroke prevention measures you could prevent sunstroke and pet heat stroke. But it can still happen. Sometimes, the pet might be in more sensitive condition than usually and you would not know. His defense mechanism would be weaker so he would be more prone to heat stroke. 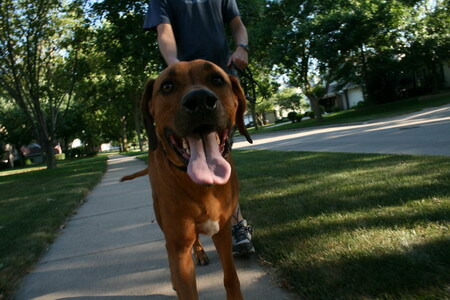 In that case apply some of the advices from dog heat stroke treatment page to prevent the worst.